The PROOF pastured free range standards are as uniform across all livestock species as possible to avoid any confusion about what PROOF stands for. Our core values are at the heart of each standard. 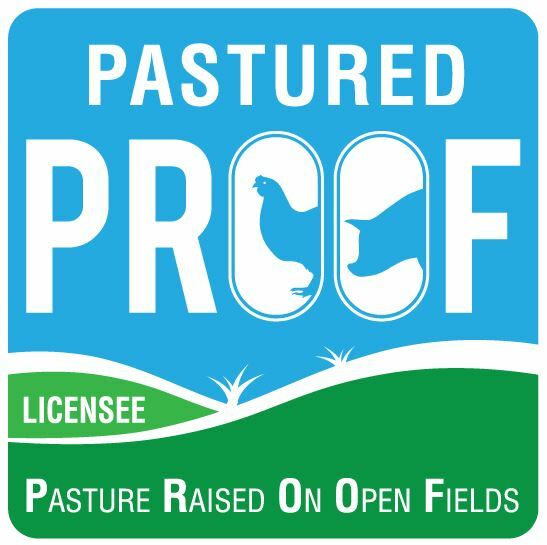 The PROOF standards offer verification that the licensed farm raises their livestock on pastured open fields. The key focus of PROOF is to ensure that all animals do get to live and graze outdoors in a farm environment that is as close to nature as controlled farming will allow. It has become more important than ever for consumers to know that the meat and eggs they purchase was raised outdoors as they expect it to be. The following standards expand on our Core Values and demonstrate what a true free range farm certification should be. Which brands are really free range? Asking for proof that eggs, chicken or pork is genuinely free range is already common. Being a PROOF Licensee gives you a marketing edge and makes you part of a growing network of supportive and like minded farmers. We are here to help promote your industry and your farm and the core values of PROOF. The PROOF guidelines offer verification that the licensed farm raises their livestock on open fields. The key focus of PROOF is to ensure that all animals do get to live and graze outdoors in a farm environment that is as close to nature as controlled farming will allow.